Tow Bars Perth | Midland TowBars Perth WA | Towbar Fitting Firm Perth! 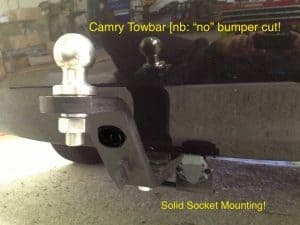 Want to get the RIGHT towbar for your car? my horses?” You can tow whatever you like. However, your insurance and warranty only covers you up to your vehicles maximum towing capacity. In addition to this, we constantly hear stories of people getting told to “unhitch” by the department of traffic and to leave their caravans by the side of the road. That would really spoil your holidays! Get Your towbars Fitted by Midland Tow Bars right here in Perth, WA!